﻿David Geffen is a recognized expert in the resolution of conflicts that have developed into lawsuits - Litigated Conflicts - as well as those that haven't - Prelitigation. Elements of success. Mr. Geffen relies on outstanding communication, an ability to work with all types of people, a unique perspective on the dynamics of injury and loss, tenacity, and over 30 years of trial advocacy and dispute resolution. Mr. Geffen studied mediation in law school and later trained in mediation at the Straus Institute for Dispute Resolution at Pepperdine University School of Law. Being efficient matters. Every successful mediation requires focus and direction. Mediators must command and keep the parties’ trust to find the divisive issues early in the process, allowing the participants to direct their efforts more effectively. Opportunities for a Quick Resolution do exist and should not be missed, as discussed in Mr. Geffen's article, The Three-Hour Mediation (THM), published in the Los Angeles Daily Journal on June 24, 2016. Unparalleled rapport. Time after time, Mr. Geffen’s unique experience and insight provides a safe port for exploring and overcoming hidden barriers to settlement, rounding the reef to resolution. Satisfaction matters. In David Geffen’s mediations, the parties feel listened to and supported, everyone understands the process, and everyone knows how they got to “Yes”. Three Hour Mediation (in office only) - flat fee $1,650. Half day mediations are $2,400 in office, or $3,000 at another location within 25 miles. Full day mediations are $4,800 in office, or $5,400 at another location. ​Mr. Geffen's hourly fee of $600 applies thereafter. The balance is due no later than 14 days before the scheduled mediation. Mr. Geffen does not charge for premediation phone calls and review of the briefs before mediation up to 1 hour. A cancellation fee of 50% applies to mediations that are canceled within seven days of the scheduled date of mediation. The entire fee is not refundable if the mediation is canceled with less than 24 hours notice provided on the prior business day. Mr. Geffen will work with the parties to reschedule and apply deposited fees when there is an emergency. Preparatory phone call: Upon scheduling a mediation, each counsel should email Mr. Geffen separately at david@davidgeffenmediation.com to schedule a confidential fifteen minute pre-mediation phone call which will take place one week prior to mediation. This preparatory discussion is important to the staging and effectiveness of the mediation process. Briefing: The mediation brief should be submitted to this office by each party at least three (3) days before the mediation to allow time for Mr. Geffen to resolve any pre-mediation concerns. Each brief should clearly state the factual and legal contentions, the barriers to resolution that are apparent or of concern, and the status of the negotiations. 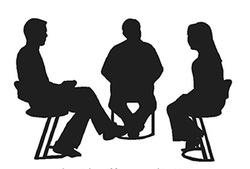 Mediation briefs should be shared with the other parties prior to the mediation, unless they are confidential. All confidential briefs should be clearly marked CONFIDENTIAL. David Geffen Mediation provides its lovely offices in Santa Monica and San Luis Obispo, free of charge. Mediations can be performed elsewhere, including the attorney’s offices, or the claimant’s workplace, by agreement of the parties. Directions and Parking: Our Santa Monica office is located next to the Doubletree Hotel across from the Civic Center in the city of Santa Monica. All day parking is available under the building or at the Civic Center. The parking entrance is off 4th St., stay to the right as you enter the driveway. Most parties to a real property contract in California use the CALIFORNIA ASSOCIATION OF REALTORS® Residential Purchase Agreement (“RPA”). Section 22A of the RPA requires: "The Parties agree to mediate any dispute or claim arising between them out of this Agreement, or any resulting transaction, before resorting to arbitration or court action..." Mandatory mediation clauses are also found in Joint Escrow Instructions and other real estate related agreements. If the parties reach a settlement during mediation, and it is put into writing and signed by all the parties, it becomes binding. Otherwise, the parties still have the right to go to court or arbitration if the mediation is unsuccessful.